With an open plan dining room and intimate al fresco seating, Il Molo provides a modern setting for a range of events, including casual celebrations, birthdays, and full venue hire. Our food philosophy focuses on letting fresh ingredients shine. Inspired by classic Italian recipes, our menu provides an immersive dining experience featuring handmade pasta, carefully curated charcuterie, and house made sauces. Begin your morning by indulging in a continental breakfast on the weekends. 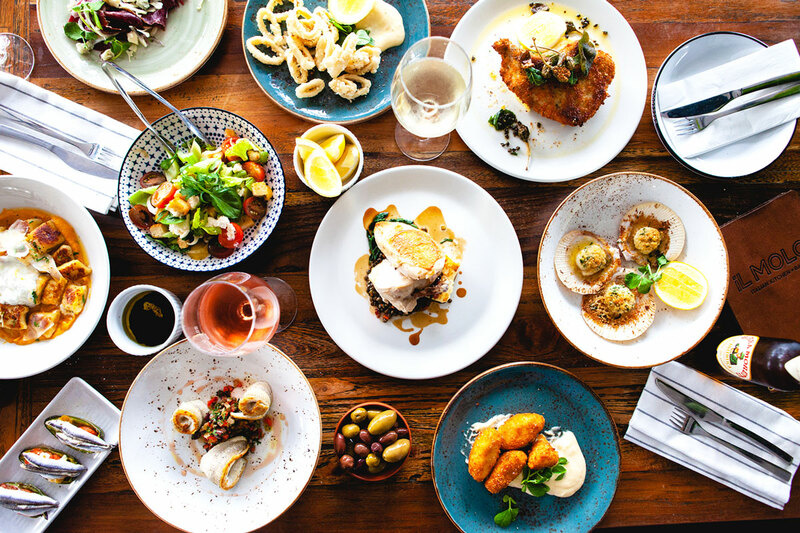 Later, mingle over antipasti and aperitifs before an evening of decadent slow-cooked meats, traditional pastas, and wood-fired pizzas paired with the clasic Italian wines.